Despite being the second largest city in Chile, a Valparaiso tour doesn’t offer a typical sightseeing experience in South America. There are no particular sites to visit; the charm of this colonial city lies in the ability to roam its many winding, labyrinthine alleyways and cobbled, narrow streets. As you gaze up at the picturesque buildings that are lost in time with their humble yet colorful architecture, it’s understandable to see why Valparaiso is a UNESCO World Heritage City. Whilst downtrodden compared to its glory days as a merchant port, there is still an attractive vibe about Valparaiso with its bay overlooking the deep blue of the Pacific Ocean. After a devastating earthquake in 1730 forced residents to move to the surrounding steep hillsides the city is on various inclines. The city’s primary features are the ascensores – or elevators – that behave like vertical trams. The oldest ascensor, the Concepción Elevator, was launched in 1883 and still provides a quirky experience for every guest exploring the city. From the romantic gaiety of day to the indulgent and often lively café-bar spirit by night, a gracious artistic flair soars through Valparaíso. The highly-regarded Chilean poet Pablo Neruda was inspired by the city and had his home in the nearby coastal region, Isla Negra. On your Valparaiso tour, visit the house that has been transformed into a museum housing collections of his antiques – from bottles and traditional masks to nautical instruments. Similarly, “magic realist” writer Isabel Allende has set some of her fiction work in the city. 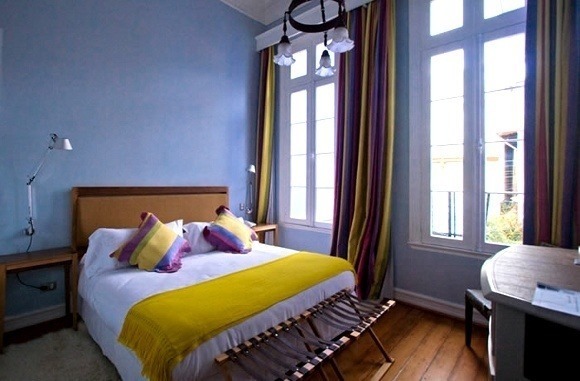 Continue the eclectic nature of Valparaíso by staying at boutique Zero hotel in Valparaiso where you can enjoy mesmerizing sunsets over the Pacific Ocean having poured yourself your drink of choice at the hotel’s own “honesty bar”. Visit Valparaíso to celebrate the New Year and enjoy a fantastic firework display over the harbor. 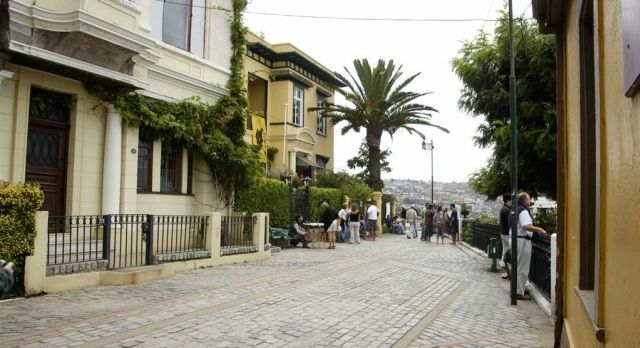 Speak to your Travel Consultant to plan your private, tailor-made Valparaiso Tour.